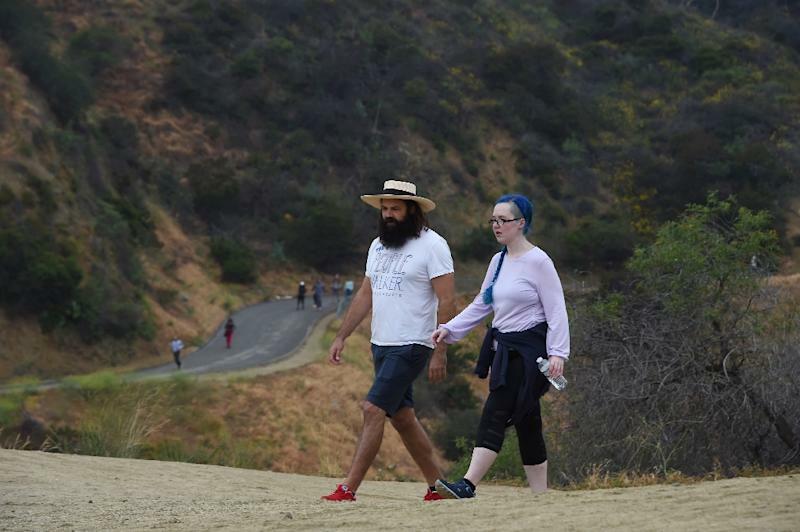 Los Angeles (AFP) - Chuck McCarthy's walking service provides fresh air, exercise and companionship for $30 an hour -- but peeing on trees is an absolute no-no. The Los Angeles-based entrepreneur works with humans, not animals, and is striking a blow for health and social inclusion as the founder of the famously car-friendly city's first people-walking business. "I was thinking about becoming a dog walker. But I've never had a dog in the city, so I've never had to pick up dog poop," McCarthy told AFP on a recent leisurely saunter in the Hollywood Hills. "I was also seeing a lot of personal trainer ads. And so I kind of said to my girlfriend, 'Maybe I'll just become a people walker.'" McCarthy was joking but the more he thought about it, the more he realized there was a need for the kind of comradeship he could provide. 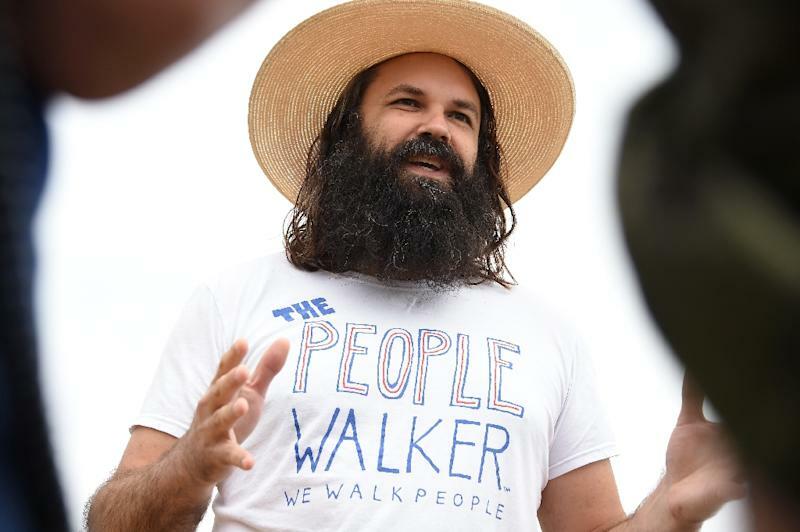 The People Walker started as a one-man operation two years ago. But demand was so high that McCarthy now has a roster of 35 walkers, and a website where people can choose routes and walking partners. Social disconnection has been linked in various studies to depression, heart disease, diabetes and cancer, and can shorten life as profoundly as regular smoking, according to some estimates. Eric Klinenberg, a professor of sociology at New York University, identified a major cause of loneliness in a recent column in The New York Times: a growing global culture of individualism. It's not that people have fewer friends, say experts, but rather that the "gig economy" has produced a generation of freelancers with none of the routines or social bonds that traditionally connected workers. "I've walked people that are married with kids that have tons of friends. It's about convenience and it's about location and basically having things your way," McCarthy says. Meanwhile smartphones and social media have deepened divisions, replacing real human relationships with the ersatz companionship of a social media following. Instead of "screaming into the void of Twitter or Facebook," McCarthy's clients get to enjoy real human connections with people that don't know them and won't judge or gossip. "It seems like something new but it's very similar to going to confession, to a bar, to a therapist, or going to a hairstylist," he tells AFP. McCarthy is an aspiring actor, which makes him coy about revealing his exact age -- "I guess I'm in my 30s," he concedes -- but auditions have taken a back seat to the business recently. "I still wouldn't turn down a starring role opposite George Clooney," he adds, just for the record. The business is on the cusp of making the kind of money McCarthy could call a living, with an app about to launch and grand plans for expansion across California, the US and, eventually, the world. McCarthy has no idea how far his feet have taken him in the last two years but he walks clients four or five times a week, typically for an hour, and describes himself as more of a listener than a talker. "It's less of a confession and more of a conversation. So I wouldn't say that I'm getting the deepest darkest secrets and nobody is breaking down crying on our walks," he says. McCarthy's clients come in all shapes and sizes, and walk for a variety of reasons. Anie Dee, a Wisconsinite in her late 20s who decamped to LA seven years ago, had been driving for a ride share service, sitting down all day, and decided last year to get out more. "I have some health issues so walking long distances is very difficult for me. And so having somebody with me, we walk a lot further than I ever thought I could," she told AFP. The freelance theater box office manager noticed as she began going out with McCarthy that her mood and outlook were noticeably more positive. "When you're working a lot of desk jobs and you're by yourself, you don't really have that social aspect," she said. 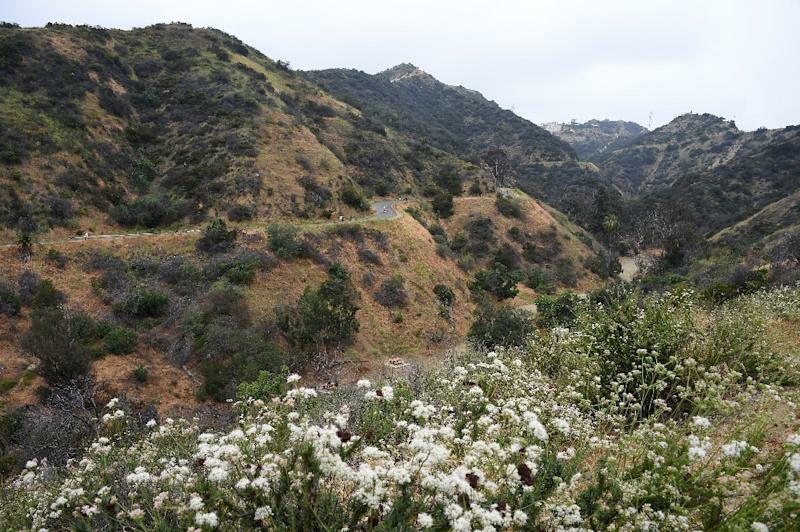 "So when you go for a long walk it's like, 'I feel refreshed -- this is really nice. '".